Lorsque, le soir du 18 juin 1952, le rideau tomba sur cette authentique recréation du fastueux opéra-ballet de Rameau, soirée saluée par des ovations unanimes, venues d'en haut comme d'un parterre de rois, chacun eut conscience que l'Opéra de Paris venait d'ajouter une autre pierre blanche à son glorieux palmarès. 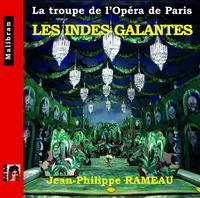 Non pas que, contrairement à certaines allégations, Rameau y ait été négligé, le Palais Garnier ayant accueilli, entre autres nombreux titres Hippolyte et Aricie ou Castor et Pollux (cinquante-deux représentations avant guerre), cependant que ses opéras se jouaient dans les provinces, ou surtout, après-guerre, en Belgique; mais il s'agissait ici d'une tout autre entreprise, l'uvre demandant des moyens colossaux que bien peu de théâtres pouvaient s'offrir, avec ses cinq importants décors, ses ballets omniprésents, et une distribution vocale exigeante : or, dans ce dernier domaine, et nous y reviendrons, l'Opéra de Paris possédait sa troupe de très grands chanteurs, enrichie de quelques alliés, et n'avait pas ici à dépenser plus que pour afficher Faust et Aida jumelés. ), abordé ce qu'on appellera un siècle plus tard le "Grand Opéra", qu'à la veille de ses cinquante ans, et son coup d'éclat, Hippolyte et Aricie, en 1732, fut un éblouissement par sa densité, sa richesse harmonique, ses voix d'une ampleur encore jamais requise, arrachant à son rival André Campra son fameux "il y a dans cette uvre matière à dix opéras, cet homme nous éclipsera tous"
Trois ans le plus tard, ses Indes galantes en donnaient la confirmation, sans recourir à Racine, sur un simple argument du versificateur maison Louis Fuzelier (1674-1752) brodant sur la galanterie -nous sommes au sortir de la Régence, certes pas une période d'austérité - de par les continents, alliant le mythe déjà présent d'un "Turc généreux" ancêtre du Selim de Mozart, à celui du futur "bon sauvage" de Rousseau. Comme pour le pari initial d'Hippolyte et Aricie, la chaste Diane jouant contre Jupiter, ce premier "Faites l'amour, pas la guerre" oppose ici Vénus à Mars ("La gloire vous appelle") tout en prônant la fidélité : Osman rendra Émilie à son amant Valère, Phani restera fidèle à son vainqueur Carlos malgré le séisme déclenché par le jaloux Huascar, et après les marivaudages du tableau des fleurs, diffusant aussi dans la salle un parfum rare, que ma génération a encore en mémoire, la "bonne" sauvageonne Zima sera fidèle à son noir Adario, repoussant les avances du Français trop volage et de l'Espagnol trop jaloux..
), et aménageant parfois la vocalité des créateurs à celle des interprètes du XXème siècle, appartenant tous à la troupe de l'Opéra : ainsi le rôle de Bellone (La Guerre, en fait Mars) passant de la basse aux contralto, ici Hélène Bouvier suivie des Scharley et Couderc, ainsi le rôle de Valère conçu pour le jeune et déjà grand Jélyotte, sans doute le premier véritable "ténor" de l'histoire du chant, amputé ici de sa montée au contre-ut, sans, au contraire, toucher au très célèbre "Hymne au soleil" de l'Inca Huascar, écrit pour la voix immense (certains s'en plaignant alors !) du Rennais Louis Chassé et convenant aux vastes moyens de René Bianco et ses successeurs. De même que la voix de la doyenne d'alors, Marie Antier, Phèdre en 1732 et ici Phani, revivait en celle de Marysa Ferrer et bientôt de l'immense Suzanne Juyol, puis Suzanne Sarroca, et que la charmante Pélissier retrouvait son éclat par les voix de Jacqueline Brumaire et Geori Boué, ici présentes. 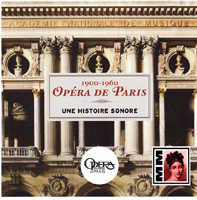 On the evening of June 18th 1952 when the curtain fell on this authentic recreation of Rameau's spectacular opera-ballet, it was greeted with unanimous ovations, from on high as though from a parterre of kings. 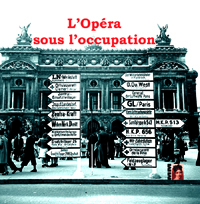 Everyone was aware that it was a red letter day in the annals of the Paris Opera. Contrary to what has sometimes been said, it was not because Rameau had been neglected there. 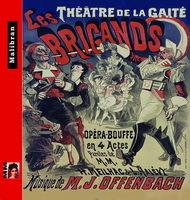 The Palais Garnier had presented amongst numerous other titles Hippolyte et Aricie and Castor et Pollux (the latter in 55 performances before the war) and additionally his operas were performed in the provinces and above all, after the war in Belgium. This was however a quite different enterprise - a work requiring colossal means that very few theatres could have offered, with five major sets, omnipresent ballets and a formidable vocal cast. But in this last area, as we shall see the Paris Opera possessed a company of great singers, enriched by several guests, enough indeed to presents twinned performances of Faust and Aida.
) attempted what a century later would be called "Grand Opera" as he approached the age of fifty. Hippolyte et Aricie came as a thunderbolt in 1732 with its density, harmonic richness and the unprecedented power of the voices prompting the famous remark from his rival André Campra "There is enough material in this work for six operas. This man will eclipse us all." This was confirmed three years later when Rameau composed Les Indes Galantes, without returning to Racine, on a simple plot by the house versifier Louis Fuzelier (1674-1752) elaborating on the gallantry - we are emerging from the period of the Regence - certainly not a period of austerity- of the continents - allied to the already well-established myth of the "Generous Turk", ancestor of Mozarts's Selim and of the "Noble Savage" of Rousseau. As with the initial gamble of Hippolyte et Aricie, chaste Diana plays against Jupiter, this first "Make love not war" here opposes Venus and Mars ("Glory calls you") while extoling fidelity. Osman returns Emilie to her lover Valere, Phani remains faithful to her conqueror Carlos despite the earthquake unleashed by the jealous Huascar, and after the refined gallantry of the flower scene, diffusing an exotic perfume into the auditorium, that my generation still remembers, the "good" wild child Zima will be faithful to her black Adario, rejecting the advances of the fickle Frenchman and the jealous Spaniard. But apart from the difficulty of appreciating and understanding such novel music (not all of it could be performed in the first performance), even if some of the lighter passages were drawn from harpsichord pieces to be incorporated into the dances, it was above all the sumptuous and (too?) sonorous orchestration sometimes treated as a "racket" that impressed the spectators. With around 60 musicians Rameau went way beyond anything that could have been heard at the time (except perhaps, far from Paris, the immense formations demanded by the Bach Passions at almost the same time), and these accounts of the powerful forces used influenced the choices regarding the return of the work to the stage. 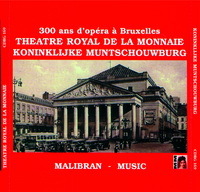 It was impossible with a public that had known Wganer and Strauss (to say nothing of the everyday noise of cars and airplanes etc) to reduce the work to an excessively feeble power, to be performed the day after Walküre and Le Sacre du Printemps, increasing the sixty musicians to close on the hundred needed for the size of the Palais Garnier, respecting the balance between wind and string instruments, Rameau's five oboes increased to eight (including two little "musettes") and the remainder in keeping, including two clarinets that Rameau added to the orchestra in 1749 and probably incorporated progressively over the approximately one hundred and eighty-five performances of Les Indes given during his lifetime, flowed by 80 incomplete performances before the devastating arrival of Gluck. The score was carefully re-studied by Henri Busser, taking inspiration from the researches of Saint-Saens, followed by Dukas into period phrasing, but certainly neglecting the too systematic (/) use of "accentuated rhythm", much vaunted in recent re-interpretations, but giving more brilliance to the trumpets of the chaconne finale, and respecting the mordants and trills of the vocal line( a scruple that has diminished with the years) and at the same time transforming the vocal style of the creators to that of the twentieth century performers, belonging to the Paris Opera company: thus the role of Bellone (War - or rather Mars) passed from a bass to a contralto, here Hélène Bouvier followed by Scharley and Couderc. Similarly the role of Valère conceived for the young and already great Jelyotte, without doubt the first true tenor in the history of singing, shorn here of the top C, without, on the contrary, touching upon the very famous "Hymn to the Sun" of the Inca Huascar, written for the immense voice (some people complained about it!) of Rennais Louis Chassé and well suited to the huge vocal resources of René Bianco and his successors. 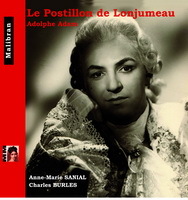 In the same way that the voice of the doyenne of the period, Marie Antier, Phèdre in 1732 and Phani in Les Indes was re-incarnated in Marysa Ferrer and then the magnificent Suzanne Juyol, followed by Suzanne Sarroca and the charming Pelissier regained her success though the voices of Jacqueline Brumaire and Geori Boué on this recording. 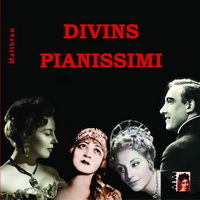 In fact after the stage performances in Florence in 1953, if the public came from afar to admire the splendid sets, one of which opened as far back as the "foyer de danse", it was the vocal memoires that lived on, the specialists in Verdi and Gounod applying themselves to the style of Rameau, admired by the strictest critics such as the enthusiastic Bernard Gavoty, himself little inclined to subscribe to the thrills of romantic opera. The alternating casts drew upon the entire company, notably the "Thre B's" (Bianco, Borthayre and Blanc) sharing the "Hymn to the Sun", or, the "rivals" Jobin and Bourdin disputing the heart of Zima (Geori Boué followed by Camart or Berthe Monmart who appeared in four of the female roles! 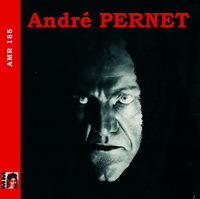 ), faithful to José Luccioni, as black as Othello (and whose son Jacques took the role of Ali) additionally Giraudeau was replaced by De Luca, Vanzo and Cadiou and Santa by Depraz, Froumenty or Serkoyen, Jacqueline Brumaire alternated with Segala or Cumia and Georges Noré with Romagnoni and Finel, however in the prologue the divine Lucienne Jourfier left her dazzling Venus to Paulette Chalanda whose appearances were too rare. 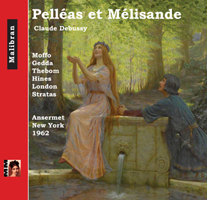 And let us not forget that in addition to the two casts here, a long list went from Angelici and Doria to the veteran of the company Pierre Savignol, and to Amade, Jansen, Rialland or Sénéchal and to new Venuses Jaumillot, Le Bris, Corazza and many others. 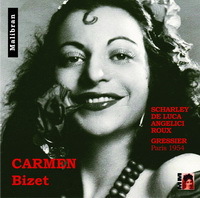 Finally, faithful to the same role from the first, Christiane Castelli with her vibrant and crystalline voice graced, like René Bianco this last performance of January 2nd 1965 (I had the pleasure of being in the orchestra, when the following day, the fire curtain refused to be raised bringing an end to some 300 performances, of which we rediscover here, two years after the premiere of June 1952, seven of the original artists (MMes Castelli, Brumaire, Micheau and Boué, MM. 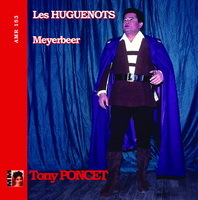 Giraudeau, Bicano and Roger Bourdin) under the baton of the very French Louis Fourestier. And as taking into account the enormous complexities of the scenery, the Opera would often present the work on three consecutive evenings with alternating casts, it could repeat the performance the following day with an entirely different cast of comparable quality: so it was the company of the Opera. 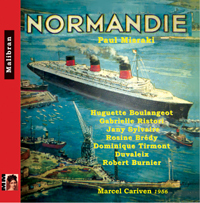 Roland Mancini, traduction de Patrick Bade.